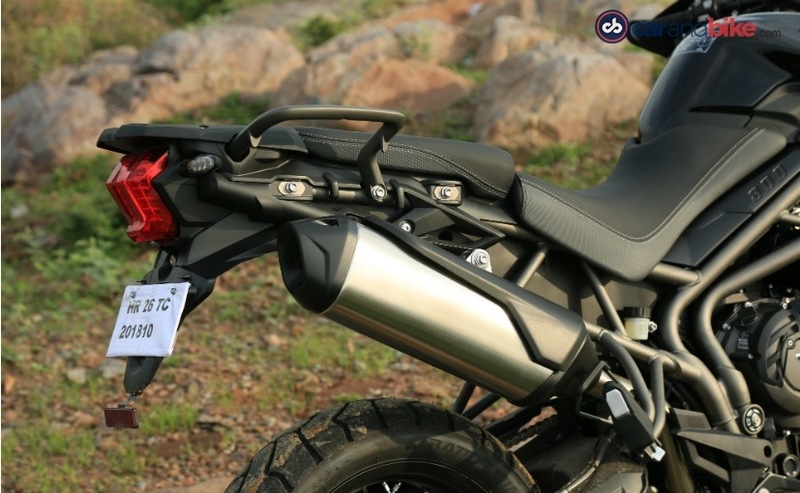 The Triumph Tiger 800 has been updated significantly for 2018. And we spend some time with the 2018 Triumph Tiger 800, to see what it offers. 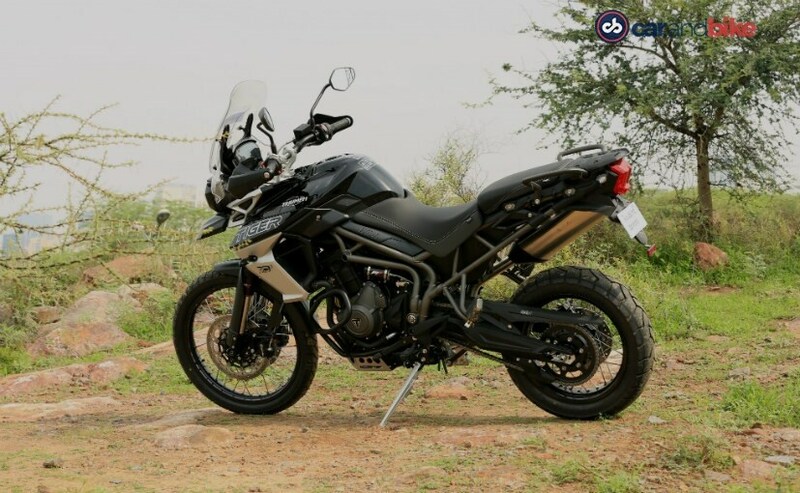 The Triumph Tiger 800 is one of the most popular adventure bikes on sale in India. In fact, it is one of the best-selling adventure bikes around the world too with over 68,000 units sold since 2010. 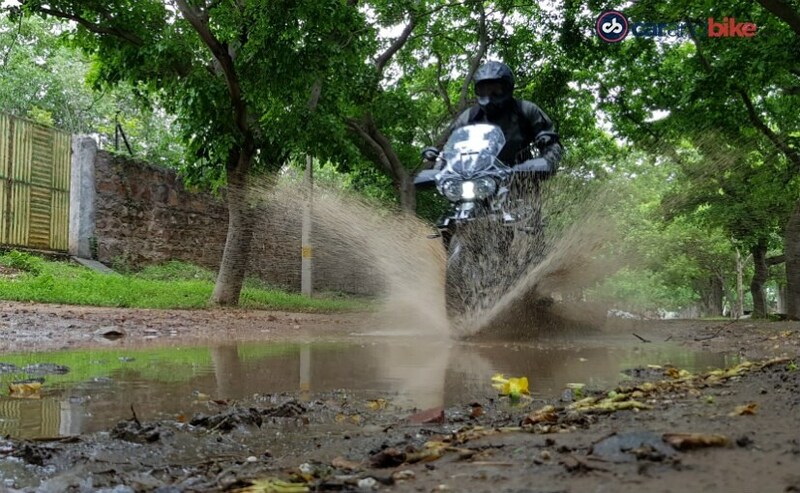 When it comes to motorcycles being versatile, it's the adventure bikes, which offer a lot of it; be it mile-munching, mild or hard-core off-roading or even riding on a daily basis. 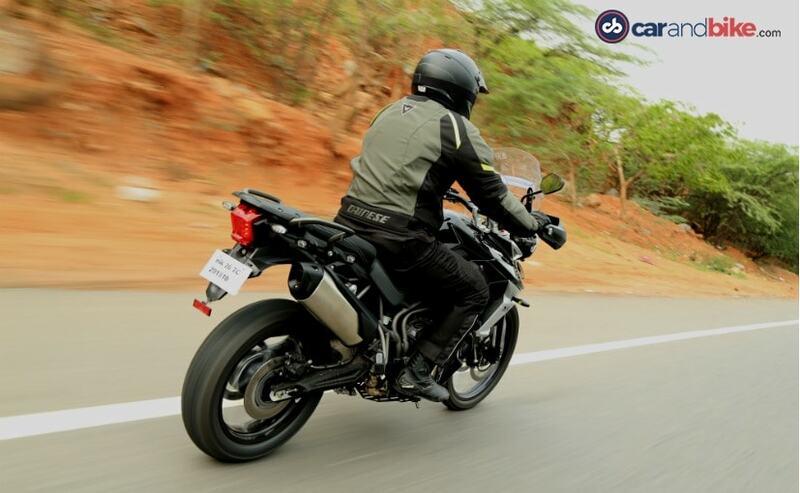 And the Triumph Tiger 800 has been one of the favourites when it comes to a one size fits all kind of motorcycle. Triumph launched the 2018 model of the Tiger 800 in India a few months ago and we finally got a chance to swing a leg over the new model. What all has changed outside? In total, Triumph says that there are 200 changes on the 2018 Tiger 800 range, including cosmetic changes, new colours and even updates to the engine. 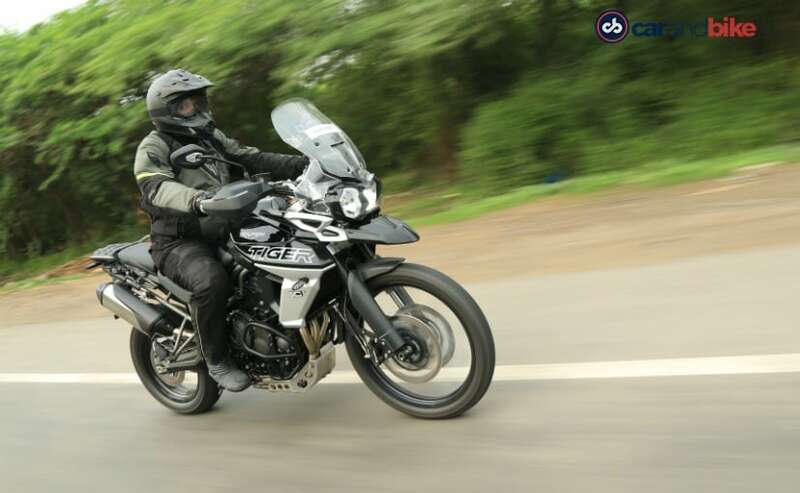 As far as looks and design are concerned, the 2018 Tiger 800 now feels fresher with almost all-new bodywork. Except for the fuel tank, the side panels are new and they do add to the overall look of the bike. Also new are the aero deflectors, which are said to offer better aerodynamics and improved air flow, directing air flow away from the rider, and the pillion. The rear section of the motorcycle continues to look rugged with the exposed sub-frame. The badges are new too and then, there is the manually adjustable wind-screen upfront, with a rather simple adjusting mechanism. 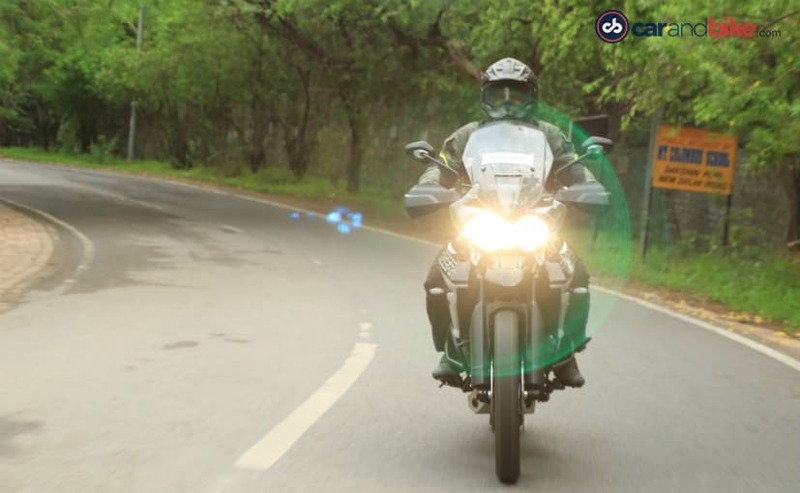 The Tiger 800 XCx features LED daytime running lamp on the headlamp cluster along with an LED tail lamp at the rear. 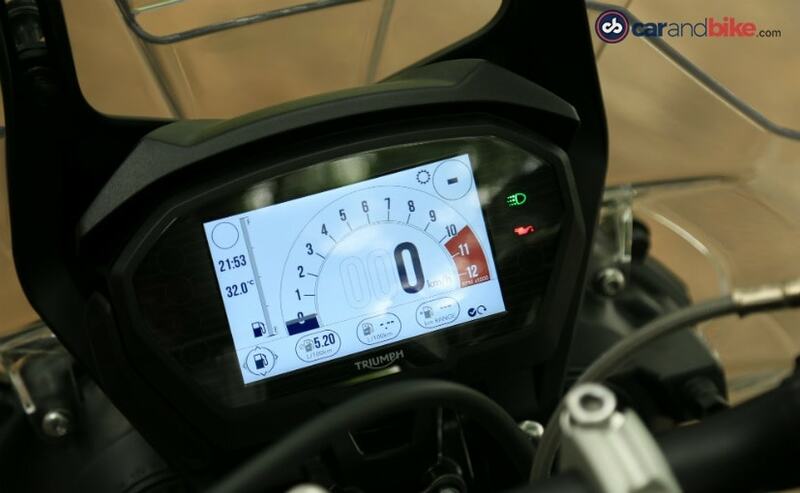 The other big update is the TFT instrumentation screen which has been borrowed from the Triumph Street Triple ₹ The switchgear on the motorcycle is new too and apart from being backlit, the 5-way joystick controls are intuitive. Like earlier, the Tiger 800 XCx continues to get an engine guard and a bashplate as standard. With the addition of the new panels and the new colour schemes, the Tiger 800 sure looks and feels fresher. Plus, the new colour TFT instrument console adds to premium feel of the motorcycle. We quite liked the black and silver paintjob on our test bike. What all has changed inside? Even though the in-line 3 engine on this bike is the same as the one on the outgoing model, the internals and the working have been updated significantly. So, there are now new gears on the primary drive, new crankshaft and a revised counter-balancer, as well as a new clutch. The bike continues to churn out 93.7 bhp of max power at 9,500 rpm and 79 Nm of peak torque at 8,050 rpm. The transmission unit remains the same 6-speed unit, the first gear has been shortened by up to 12 per cent, which translates into better acceleration and also reduces clutch slip at low speeds, especially when riding off road. The other significant change is the new exhaust system, which is lighter and freer flowing and this results in a meatier exhaust note than the distinct whine of the earlier triple engines. The exhaust note now has more bass in it, sounding sweeter to the ears. Ohh! Did we mention the new Brembo brakes, which replace the Nissin brakes? Well, the brakes have been upgraded too. Any updates to the electronics of the bike? As a matter of fact, yes! The Triumph Tiger 800 XCx now offers five riding modes which are road, rain, sport, off-road and a new off-road pro mode. 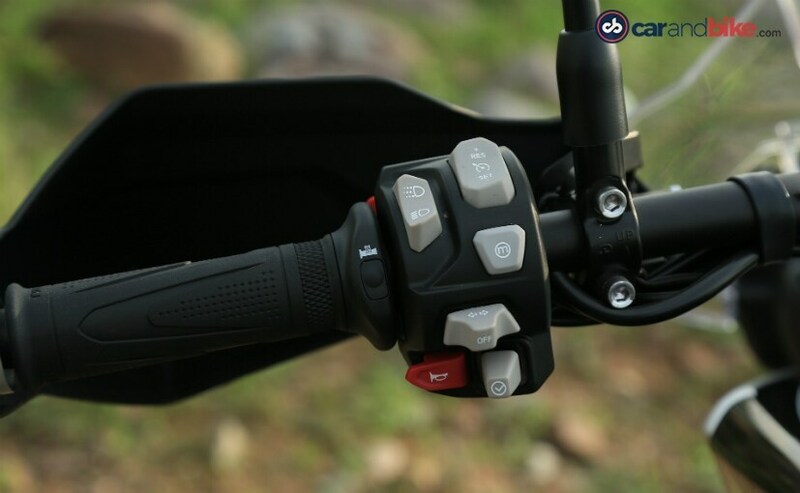 The levels of traction control and ABS can be changed for each mode and also, in the off-road pro mode, the ABS is disconnected from the rear tyre so as to allow the motorcycle to slide whenever needed. What all stays the same? 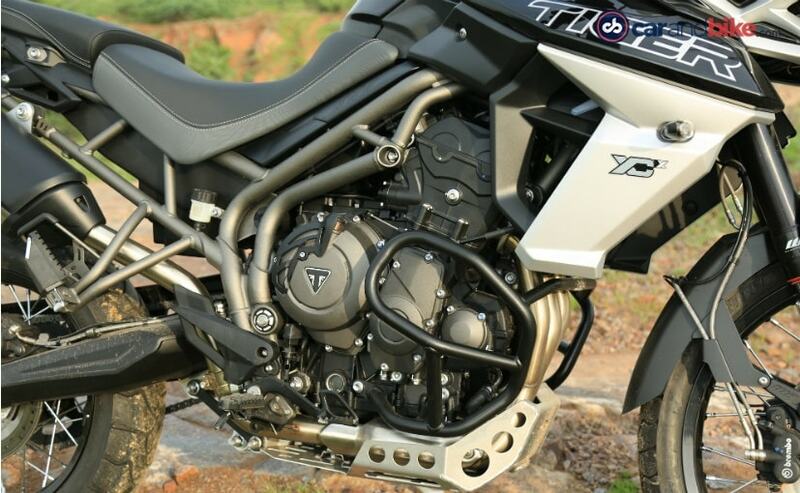 The engine so to say and the WP suspension remain the same, on the Tiger 800 XCx variant that is. One can adjust the preload on the rear monoshock, but that's about it. The front Showa USDs offer 180 mm of travel while the rear WP monoshock offers 170 mm of travel. 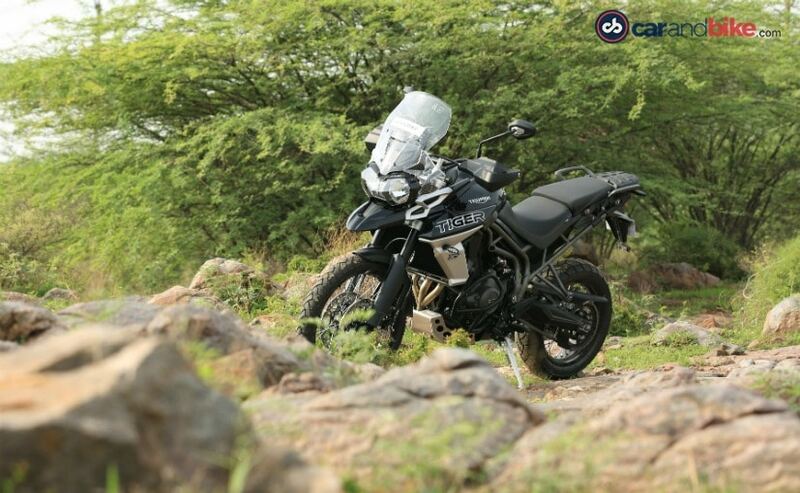 The ride on the Tiger 800 has always been plush and continues to be on the new model. How does the motorcycle ride? The updated engine now offers so much more. The power delivery is now smoother and there is a tonne of it available across the rev range. The performance is now peppier, has more punch in it, with the bike offering 90 per cent of the torque from as low as 2,500 rpm. The result is excellent tractability. The bike pulls cleanly from 50 kmph in 6th gear and goes beyond 120 kmph in no time. The throttle response is crisper and a slight twist of the wrist even at 45 kmph in 5th gear is more than enough to overtake any vehicle moving in front of you. The Tiger 800, especially, the XCx, was never a motorcycle which handled like a dream but it can still carry speeds in a corner. Thanks to the Brembo brakes, the braking has improved, with sharper bite, resulting in the front forks sinking sooner than before. 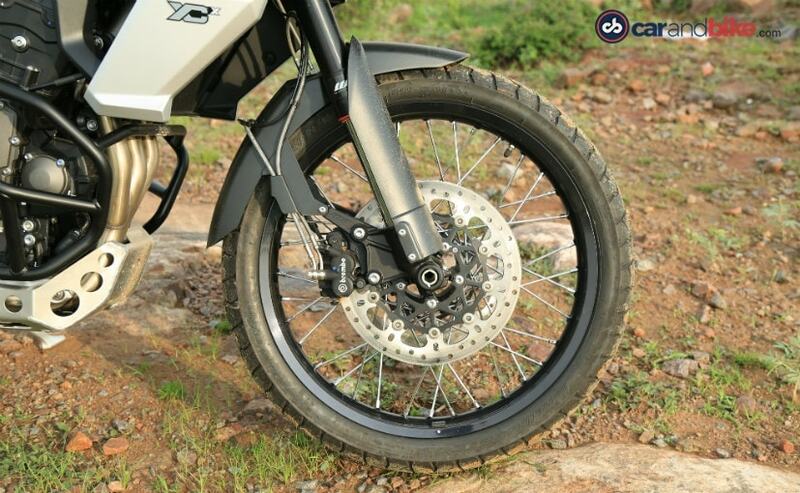 Now, the Tiger eats tarmac roads for breakfast, but what about when you want to off-road? Well, that's the Tiger's lunch. Thanks to updated but less intrusive electronics, you now feel even more in control of the Tiger tackling tough terrain. The Bridgestone tyres offer decent grip on tarmac but should you want to go off-roading, getting knobbies would be a good idea. We did subject the bike to light off-roading, and we could feel the bike wanting for more. In the hands of a capable rider, the Tiger 800 XCx can offer a rather rewarding experience off the road. Time to polish my off-road skills, then! With a price of ₹ 13.76 lakh, the 2018 Triumph Tiger 800 XCX makes for a great buy if you are in the market for a middleweight adventure bike. It looks good, is rugged and offers a whole lot of features, making a solid case for itself. It squares up against the likes of the Ducati Multistrada 950, Honda Africa Twin and the BMW F 850 GS.